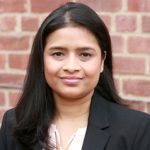 Anshumita Agrawal is a Senior Associate with Sigma Valuation Consulting, Inc. and has significant experience valuing controlling and non-controlling interests in privately held companies. In addition to her valuation experience, Mrs. Agrawal is extremely proficient in financial modeling and with a deep knowledge of corporate finance. She has worked with clients across many industries, including financial services, energy, distribution, manufacturing, fashion, software, industrials, retail and technology. She specializes in valuation of operating businesses and private equity/hedge fund management structures. Mrs. Agrawal has performed valuations for a variety of purposes including gift and estate tax reporting, transaction advisory, shareholder disputes, divorce, mergers and acquisition, financial reporting, and financial restructuring. Mrs. Agrawal completed her MBA in finance from Thunderbird School of Global Management and is a CFA Level 3 candidate. Prior to joining Sigma Valuation Consulting, she worked at a boutique investment banking firm and a law firm specialized in providing advice to private equity funds.